Extremely efficient at blasting through masonry, concrete, steel, wood and more, this rotary hammer and drill has the power to give you professional-grade results. 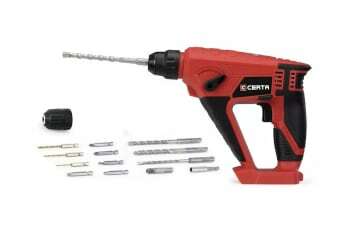 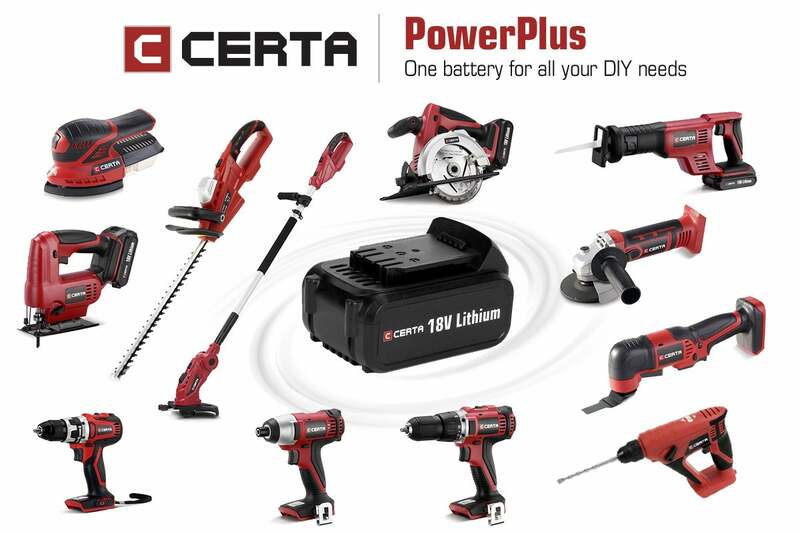 The Certa PowerPlus 18V Rotary Hammer is comfortable to use even on tough tasks, with a smooth 900rpm no-load speed, premium-feel soft touch grip and cord-free convenience thanks to the PowerPlus battery system. 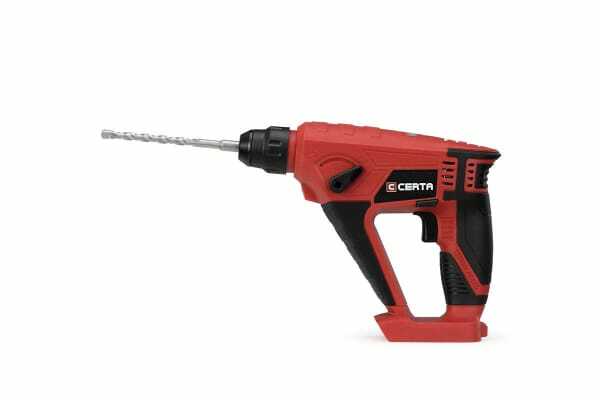 This versatile rotary hammer will be your go-to for everything from hard concrete to everyday drilling. 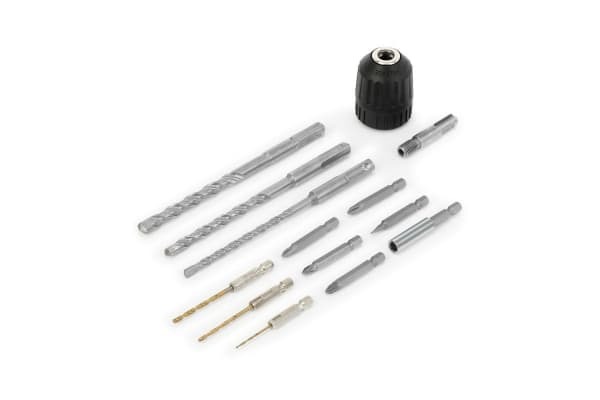 Simply turn the switch to hammer drilling for concrete or stone, or to driving and non-impact drilling for wood, metal, ceramics and plastics.